Brisbane is the capital city of the state of Queensland and is tagged as the most populous city in Australia. This being so, it has been subdivided into various Local Government Areas or LGA which are further categorised into suburbs. Imagine how huge this metropolitan area is and you will understand why there is a need to classify its 450 suburbs into categories such as Inner, Eastern, Western, Northern and Southern suburbs. For those of you wanting to tour Brisbane in its entirety then, it will be best if you are well versed with the different suburbs in Brisbane and what they can offer you. For this post, we will share with you the best destinations and attractions you can visit if you want to tour the Southern suburbs in Brisbane with a minibus hire. 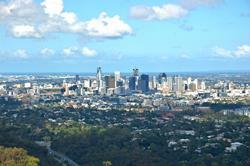 Mount Gravatt is named after a popular hill found the region of Southern Brisbane. As a major suburb, you can expect a lot of things to enjoy in this place, the most notable of which offers a great view of the suburb itself. You can also enjoy a walk or hike through the natural trails that will bring you closer to Mother Nature. Appreciate its lovely wooded vegetation whilst you also catch a glimpse of mountains and cityscapes. In order to experience the best that this suburb has to offer, remember to use your minibus to get to the Mount Gravatt Lookout. Located around 14.5 kilometres from Brisbane’s central business district, Eight Mile Plains has been named based on the fact that the area has a flat topography and has a distance of eight miles from that of the One Mile Swamp, which is now more popularly known as Woolloongabba. Using your minibus hire, you can visit some of the most famous landmarks which include Hughesville, the single-storey home which has been there since 1893.You should also not miss out on the Brisbane Technology Park and the Bulimba Creek when touring Eight Mile Plains. Besides the existence of Eight Mile Plains in Brisbane’s Southern suburbs, there is also an area called Seventeen Mile Rocks. The name of this suburb was derived from the collection of rocks that formed a distance of 17 miles from that of the famous Brisbane River. These days, only a few of these rock collections can be seen since the place allowed access to more marine vessels. Nonetheless, there are still a lot of reasons to visit this place. You should also proceed to Rocks Riverside Park where you can enjoy cycling, a climbing web, a flying fox attraction, and more. Noted as the first Master Planned Community in Brisbane, this Southern suburb became more popular to many for the numerous awards it has received for its design. This place boasts of a lake that has been crafted by human hands, spanning over 10.9 hectares of land. Use a minibus hire to enjoy the various recreational activities available in Forest Lake, amongst them are cycling and a great picnic at the adjacent parkland. Whilst this place is primarily meant for residential use, it has also seen the rise of a heavy industrial area. It is actually the home to one of Holden’s manufacturing plants as well as to Toyota’s site for distribution-related duties. You can also find one of Brisbane’s ice skating rinks here. If you love go kart racing, Archerfield Kart Hire is the destination you should head to as they have different packages to accommodate various skill levels. They can also be used as the venue to hold your corporate event. Popular for the post-World War II wooden homes here, Holland Park West is known as one of the oldest suburbs on the south end of Brisbane. Commonly accessible by riding through trams, you can also get to this part of the metropolitan area using minibus hire services. It’s a great idea to visit parks, retail zones, public bars and shops when you are in this suburb. Situated at a distance of about 4 kilometres from that of Brisbane’s central business district, Dutton Park is a combination of residential, commercial and industrial areas. In the past, it took time before this suburb was developed because of the very difficult terrain that it had back then. Once developed, it became home to several attractions like Boggo Road Gaol which is now a historical museum. It is also home to Eleanor Schonell Bridge which connects the University of Queensland Sta. Lucia Campus with that of Southern Brisbane. If you want to enjoy the sights of the Brisbane River, you can also do so here. Originally used for dairy farms, Annerley has evolved through time and today has become a residential subdivision in Southern Brisbane. There are several educational institutions located here. Annerley, being mainly a residential and educational area, is also well known for the annual events held here which include the Junction Fair during Christmas which is later on rebranded as Annerley Junction Christmas Fair. Another event is the Junction Jumble Sale which started in June 2012 and is held annually. Calamvale is one of the largest suburbs in Southern Brisbane adjoining a list of suburbs such as Acacia Ridge, Algester, Parkinson, Drewvale, Stretton and Sunnybank Hills. Apart from this notable fact about this suburb, there are many other reasons to pay a visit to Calamvale. You can take a minibus and visit the Karawatha Forest or do some shopping via Kameruka Street and Woolworths. In addition, visit Golden Pond Wetlands and see how it is attached to the Calamvale Creek. There is indeed much to do and see here in Brisbane’s Southern suburbs. Whether you want to simply go shopping for great finds or you want a relaxing moment as you enjoy a hiking trail, you are sure to experience a fun experience whilst traversing this side of the metropolitan area. Remember to hire our minibus services for any type of tours you want to embark on in the Southern suburbs!